For further information, click on the Career Expo link here. On the 17th of January 2015, IkamvaYouth Ebony Park opens its doors to new ikamvanites. 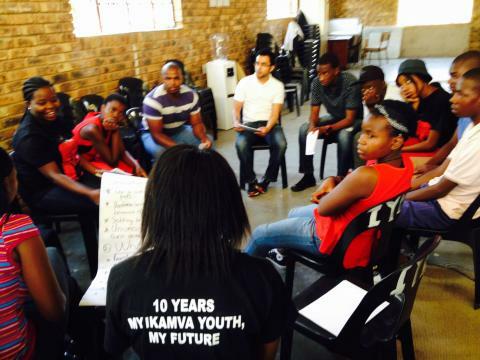 New applicants form different schools across Tembisa came to see what IkamvaYouth is all about. 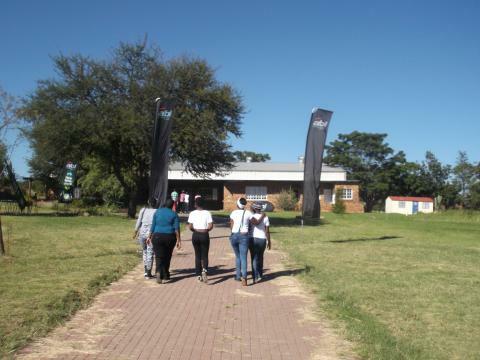 A total number of 358 learners and parents were present for Ebony Park open day. On the day, IkamvaYouth Ebony Park branch coordinator gave a warm welcome to parent, sponsors and ex/future Ikamvanite for supporting the event. The day started with an ice breaker from IkamvaYouth Ebony Park branch assistant to get everyone energized. MC for the day, Mr Clemence Msindo, explained what IkamvaYouth was all about and how IkamvaYouth would assist the learners within the community. Many of our sponsor’s includingABIand Tzu Ching Foundation were present cheering all the learners on to take responsibility for their future and improve their marks. 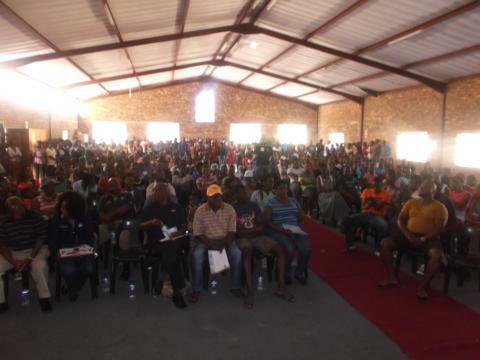 The open day was graced by the presence of Mr. Solane Mlambo from the Department of Education who gave a motivational speech to Ikamvanites on taking opportunities that IkamvaYouth brings to the community; also a parent for one of the top IY performers gave a speech on how IkamvaYouth played a role in his daughter’s life. The parent mentioned that at first he didn’t approve his child attending sessions at IkamvaYouth but after a visit to the branch, he quickly changed his mind and allowed his daughter to attend, as he witnessed something good about the program. One of IkamvaYouth sponsor, ABI, sponsored the event with drinks, food and some entertainment to Ikamvanites. 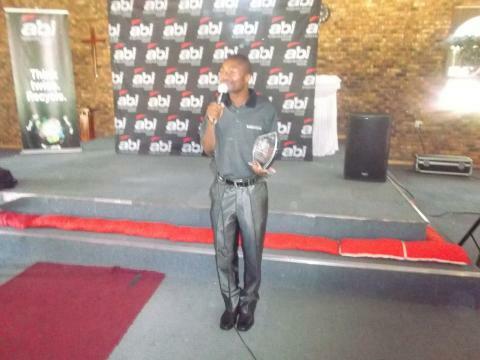 An ABI representative also gave a speech on how supportive they have been to IkamvaYouth and applauded on coming second in the Gauteng Province Emerald Award which IkamvaYouth National Coordinator, Mr Patrick Mashanda, later presented the award to those in attendance. A prize giving ceremony immediately followed and all learners with over 80% attendance and those who did Operation Fikelela through Siyakhula Computer School for 2014 were awarded certificates of achievement. Also, Grade 12’s with distinctions were recognized. Tiyiselani Mpangane, a Grade 12 with 7 distinctions who started IkamvaYouth in grade 10, said “I would like to thank IkamvaYouth for being there for learners in the community and also my school for allowing us to be part of IkamvaYouth”. IkamvaYouth also encouraged learners to know that they too could excel at school. Amongst the top performers were learners who started Ikamvayouth in grade 10 and the commitment and dedication they have showed paid with distinctions. Quintres Sefala who got four distinctions, mentioned that tutors/volunteers and teachers who gave their time deserves credits for their achievements. This is what another top performer had to say “I’m glad I have made a right choice to join IkamvaYouth and look at me now, I’m in the top three at my school. I showed commitment to my studies and with the help I received from Ikamva, my mentor, classmates and my principal, I got three distinctions” said Virginia Sibanda. The beginning of each year at IkamvaYouth is always an exciting time for IkamvaYouth branches across the country as we usher the previous year’s Matrics into post-school opportunities, welcome new learners and tutors and together decide on the goals and outcomes of the New Year. 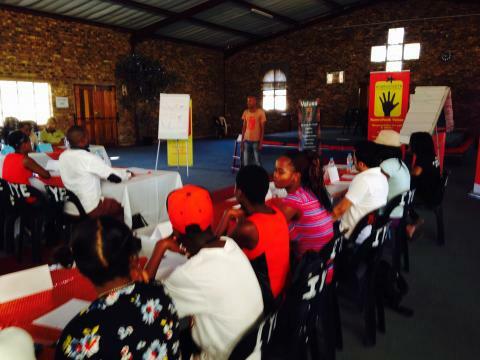 On the 14th of March 2015, Gauteng branches namely Ebony Park and Ivory Park held its annual Strategic Planning Weekend (SPW). 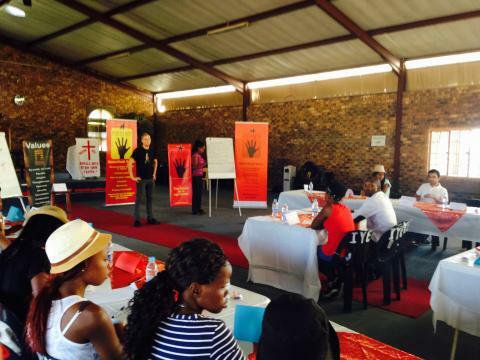 Staff members, learners and volunteers came together to spend the entire day discussing how Ebonites and Ivonites can make 2015 a good year for Gauteng branches. The day started with introductions and a fun ice breaker from a wonderful tutor, Mr Welsh Dube, to energize attendees for the day. A total number of 52 excluding staff members attended 2015 Strategic Planning Workshop. Both branches outlined the rules and expectation for day and agreed that everyone should follow them. Mrs Zvomuya, Branch Coordinator for Ebony Park, gave a brief presentation on why should you volunteer and also introduced IkamvaYouth to the new volunteers and learners who were present. She emphasizes the need to volunteer as many employers would only consider someone who had volunteered before. Both branches decided to have a motivation and testimonial from one of IkamvaYouth’s longest serving tutor, Mr. Percyval Mabizela, on his stay and experience hear at IY. He mentioned that he doesn’t regret waking up early in the morning on a Saturday to come and share his experience with learners from different communities and also mention that education is an important tool that a person can treasure. Speaking on behalf of the tutors, he mentioned that tutors/volunteers should be proud with their involvement with IkamvaYouth and the learners themselves. On looking back to 2014, branch com members gave a brief feedback about their portfolios on challenges and successes they had the previous year. IkamvaYouth Ebony and Ivory Park has seven Branch Com portfolios namely, Volunteer Coordinator, Tutoring Coordinator, Mentoring, Media, Image and Expression, Career Guidance, Computer Literacy, and Discipline (Branches decided to add this to list as a portfolio). During the feedback sessions learners, tutors and staff members grouped themselves to discuss the Branch Com portfolios and how can they make them better for 2015. The focus was now shifted to the year ahead and branches set targets to achieve within a specific time frame. The last item on the agenda was tutor training and staff members had to facilitate this session. 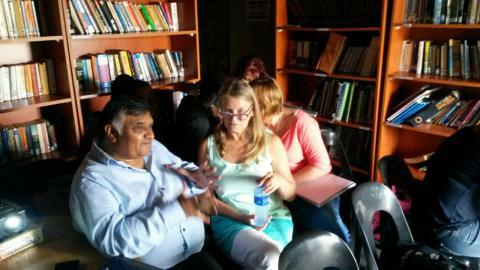 Staff members were each given a group to facilitate tutor training. Roles plays and general discussions were implemented during tutor training sessions, whereby tutors and learners were put to the test to see if they understand how Ikamvayouth model works. Volunteers went through what is expected of them and how to conduct themselves when they interact with learners. Learners also went through their expectations. The 4th of March 2015 was World read aloud day. IkamvaYouth Umlazi held a small ceremony to celebrate this day (on Saturday the 14th of March as a late commemoration) with the learners as reading is a fundamental habit to the growth of a learner’s abilities to learn. The best book review was announced on the day. 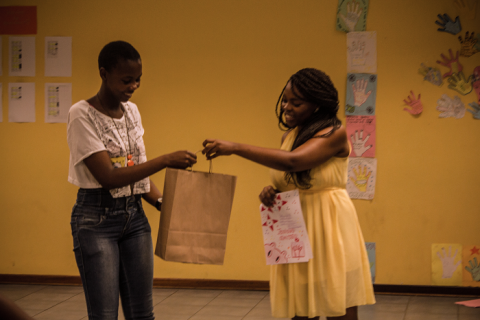 The prize went to Sibongile Mazeka, a grade 11 learner at the branch. The next part of the small ceremony was to have random learners stand up and read aloud, as it was read aloud day. We had 3 brave young girls stand up and read in front of the whole branch. The 3 young girls (Sinobuhle Gasa Grade 11, Thobeka Holngwa Grade9 and Snenhlanhla Nzaca Grade 11) will be awarded with merit points for their efforts. Each of them was asked to read one page from teenage novels which were donated to the branch by Fundza. One of the things that stood out was a learner name Snenhlanhla. She was fluent and seemed to enjoy reading the short story novel to the point where we had to stop her due to time constraints. A special thanks to Fundza for donating the books to IkamvaYouth and also thank you to the learners for participating in the activities for the day. 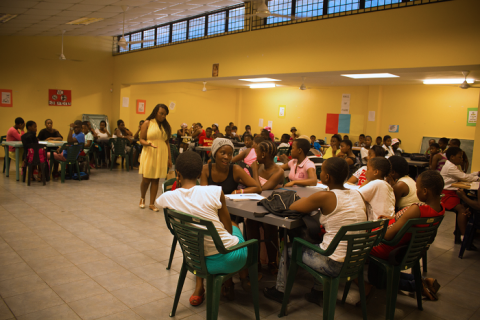 The year 2015 has already started with an exciting new twist as the Ebony Park mentoring programme got a huge boost by partnering with Coaches and Mentors South Africa (COMENSA). This very valuable partnership will help to answer a lot of questions we have had on how a mentoring programme should be structured for it to be a success. COMENSA, a national organisation with which all professional coaches and mentors are supposed to register with, brings with them a wealth of knowledge, experience and hope that mentoring programmes at IkamvaYouth will get more recognition especially if the mentors recruited for this task are certified and accredited to carry out the process with the learners. On the 28th of February, Ebony Park branch launched its mentoring programme for the year and welcomed mentors from COMENSA together with Andre Retief, a COMENSA facilitator and project coodinator who conducted an orientation workshop to explain the intentions of the programme and the way it was going to run throughout the year. At the end of the workshop learners were paired with their new mentors. Andre Retief expressed his satisfaction with the proceedings of the day and was excited to be able to assist our eager learners. He expressed that this year would be a pilot and if COMENSA management is happy with the progress they would be more than willing to extend this assistance to the other branches, starting with the Ivory Park branch next year. This is the first of many exciting things happening at the Ebony Park branch.